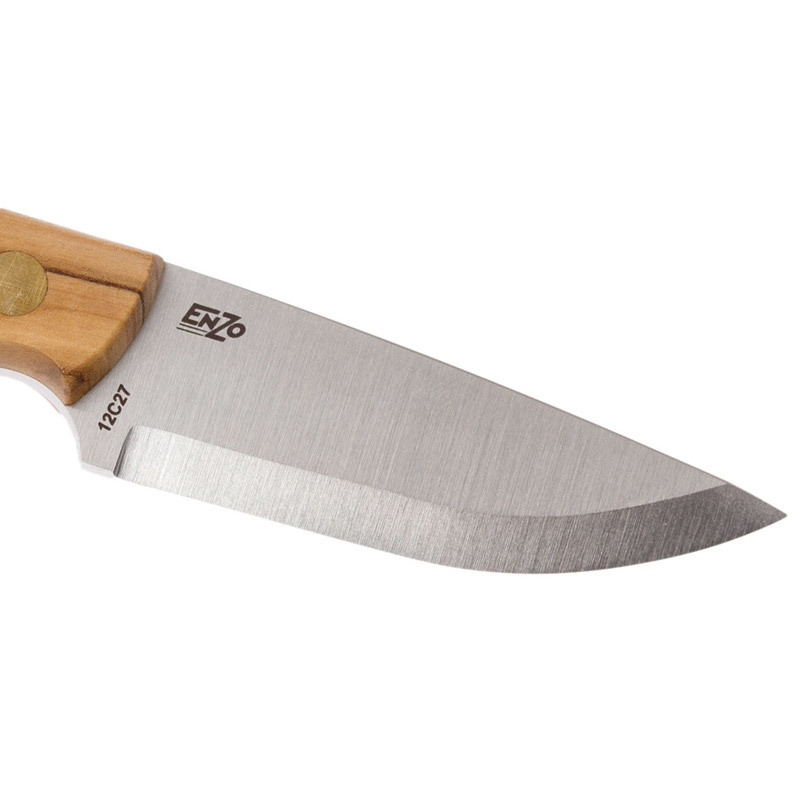 A beautiful little neck knife by the well regarded Enzo. 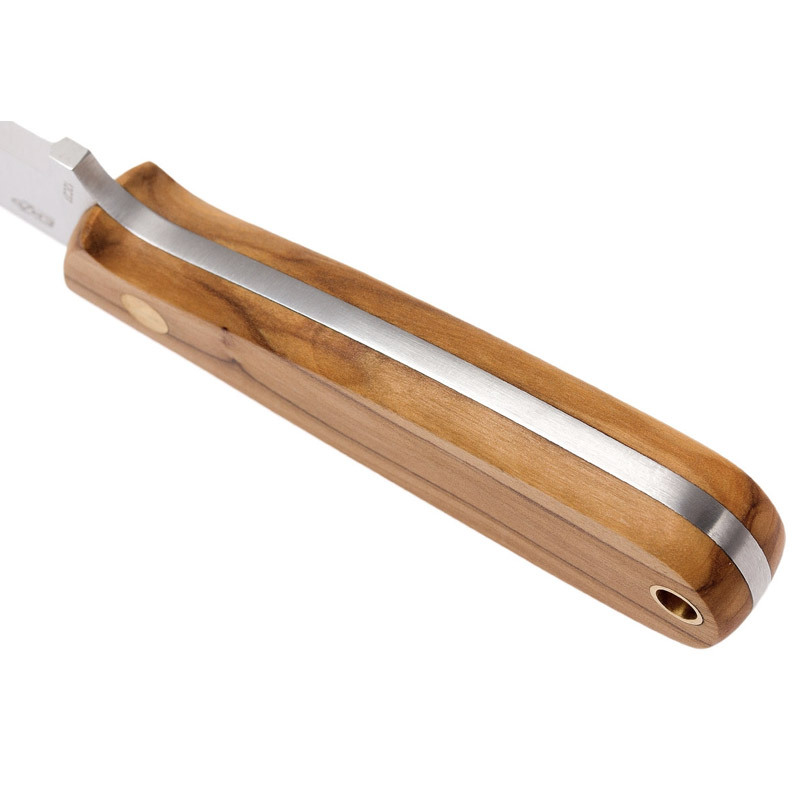 The handle is made from Olive wood, brass riveted. 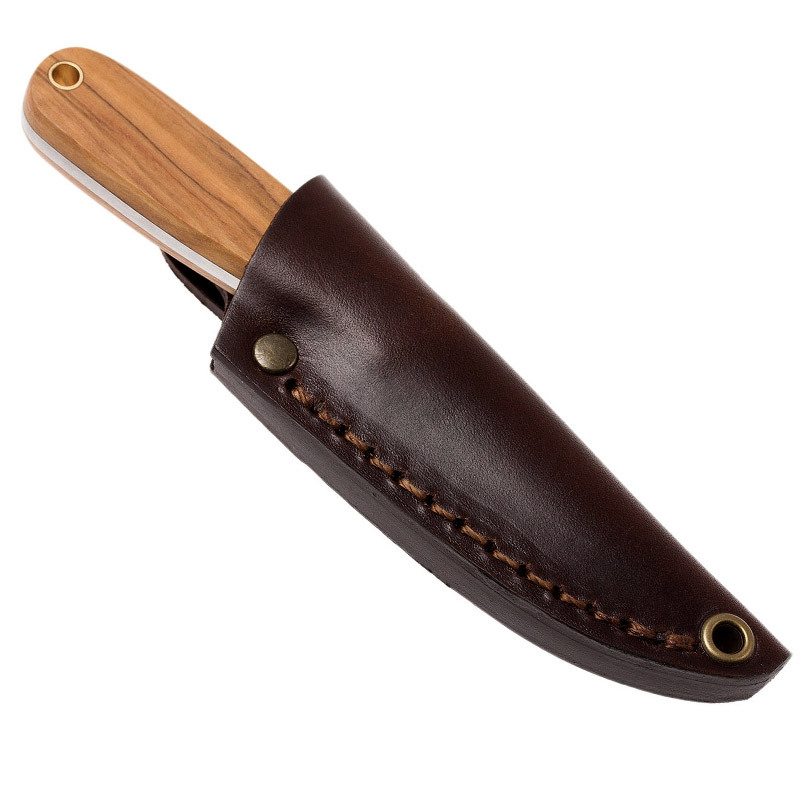 The sheath is a dark leather, stitched and riveted with a spacer. The sheath also has a belt loop if you do not wish to wear it round your neck. It is illegal to supply a bladed tool to anyone under the age of 18. 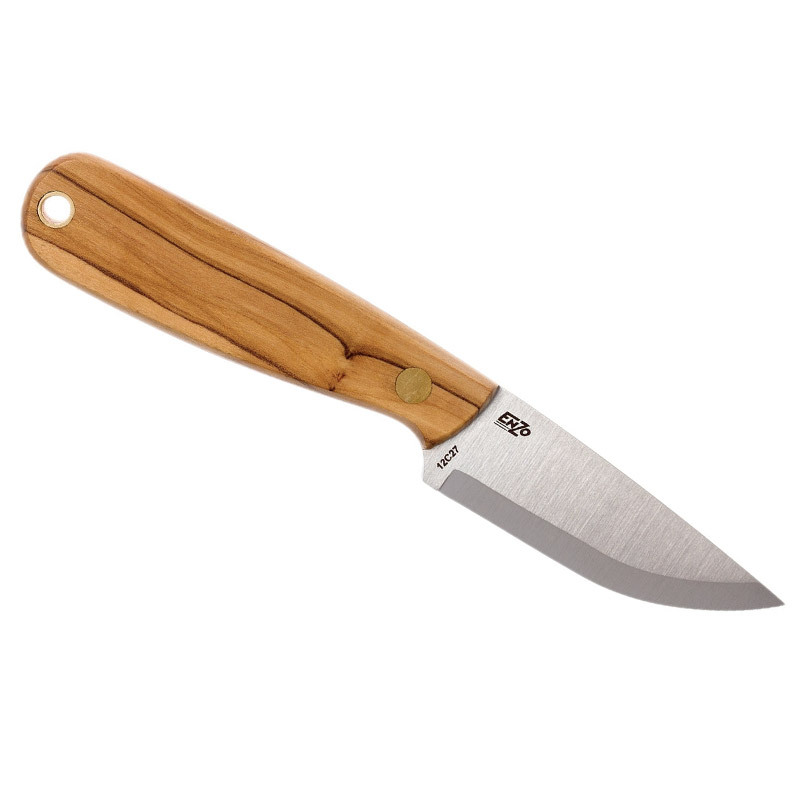 Woodland Ways actively checks the details of all orders for knives, and other edged items.Should we be unable to confirm your eligibility, you will be asked to provide proof of age in the form of a photocopy of your drivers licence or passport.Please include your telephone number on your order.